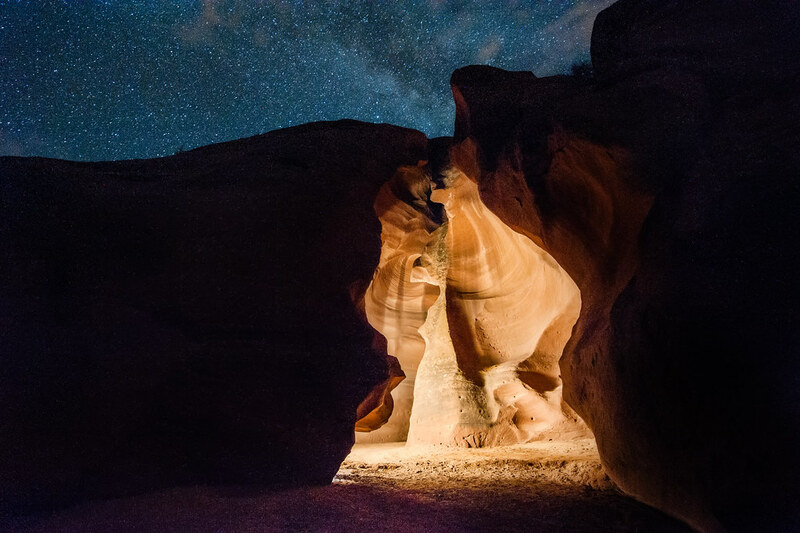 Flickr member Shutter Runner took these unusually-lit images of the famous Antelope Canyon, a slot canyon near Page, Arizona. 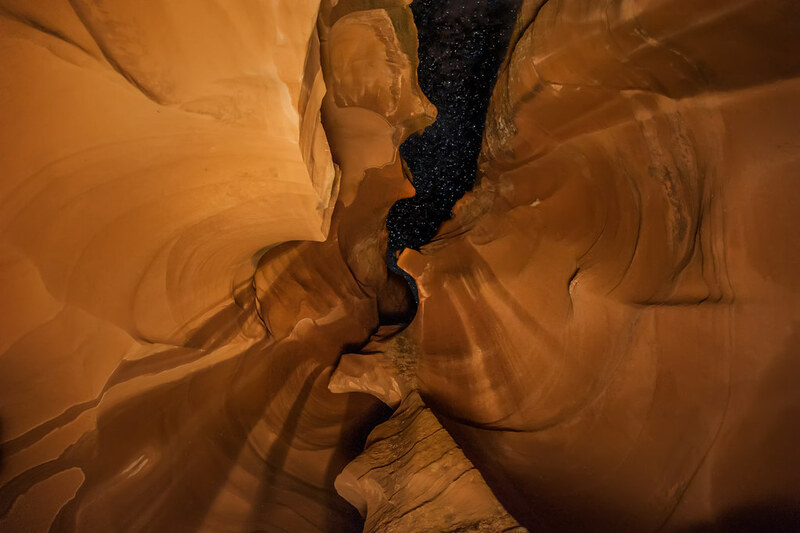 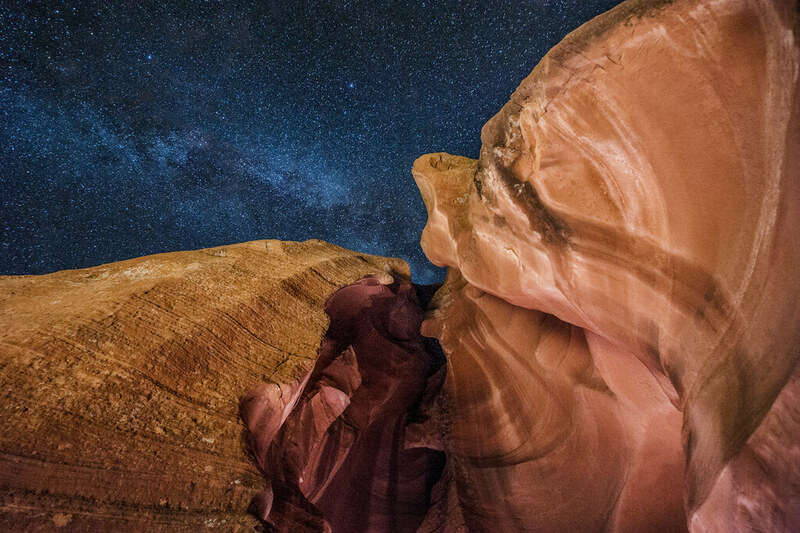 Many folks have shot this famous canyon but I’ve never seen images like these before. 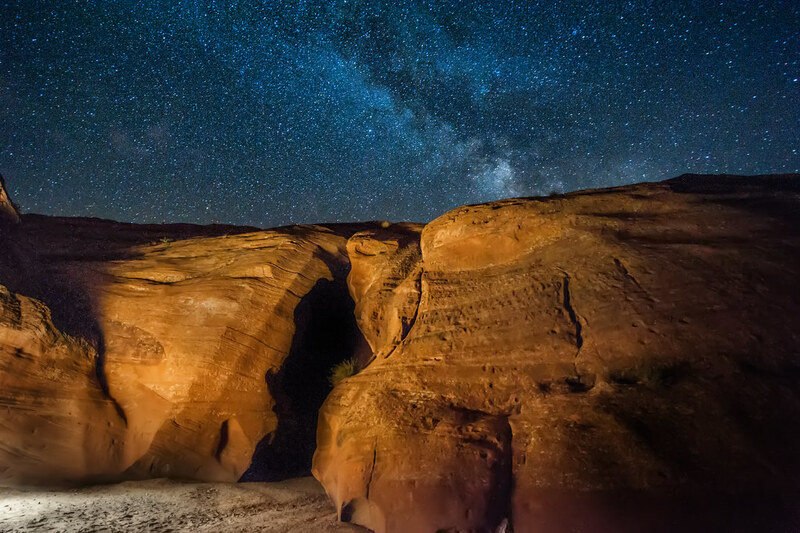 Great experimentation and including the Milky Way is brilliant.